The following explains all of the groups at Camp Alleghany. Each group has a unique color and holds special meaning to the spirit of camp. • Pink is the color that unifies all counselors regardless of age or experience. The “Pink Team,” as the counselors are known, is the backbone of camp. • The JCs, or Junior Counselors, are a group of 17-year old counselors-in-training who attended camp as 16-year old campers the previous year. They teach three activity periods and spend the fourth in a special JC leadership class designed to support them through their first summer as a counselor. At the end of the summer they graduate in to full-fledged counselors. • The Tinges are a group of counselors who were campers, completed the JC leadership program, and then became a full counselor, adding a purple “tinge” to their pink counselor color. • The NCCCs are counselors who were never campers at Alleghany. NCCC stands for Non-Camper Counselor Club. Their varied experience adds to the diverse spirit of Alleghany, and they wear their orange with pride. 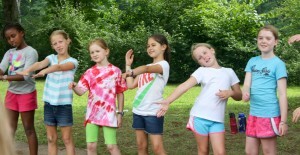 • The Maroons at camp are counselors who were previously campers but did not go through the Junior Counselor program. Their ‘Ghany experience plus outside perspective make them a wonderful addition to the counseling staff. • The Upstarts are the group of 15- and 16- year old campers at Alleghany. 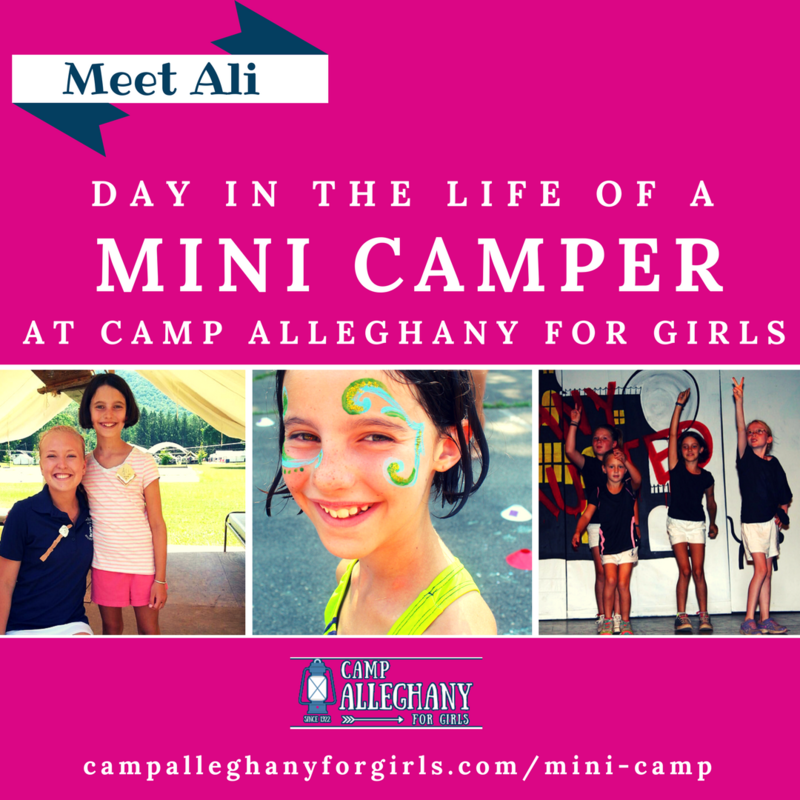 They are the oldest campers in camp and thus have more responsibilities and privileges. Upstarts supervise the younger campers when counselors are on time off, and they may also serve in various leadership roles, from Hoppers to Blue or Gray Team Captains. They spend their fourth activity period each day in a leadership training program designed to prepare them to be counselors in the future. Their color is red and they show their red hot spirit all summer long. 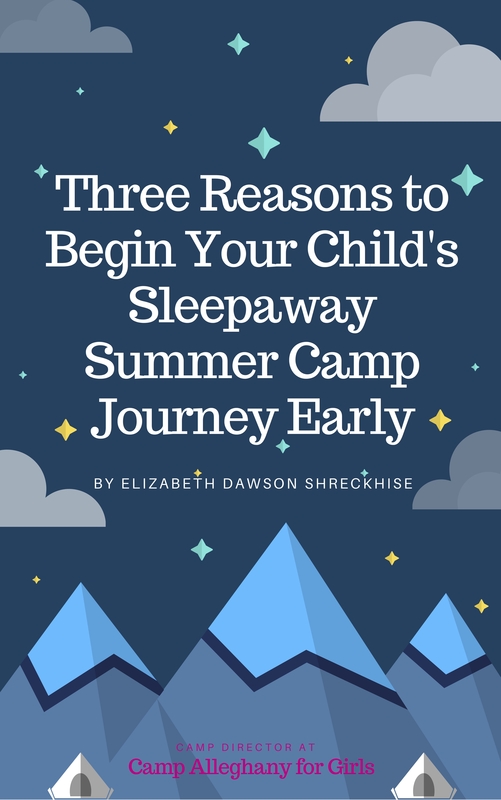 • The Midways are 13- and 14- year old campers who are midway between Startups and Upstarts. Their duties include flag raising in Senior Camp and morning devotions at Assembly, in addition to learning the ropes of the leadership roles they will take on as Upstarts! Their color is teal, and they are the real deal. • Startups are 12-years old and the oldest campers in Junior Camp. Yellow is their color, and they show their pride by being leaders and role models to all of Junior Camp. Some of their duties include leading songs at Milk and Cookies every night, making sure all the younger campers brush their teeth and get to bed on time, and taking outgoing mail to the postmistress after Rest Hour. The Junior Blue/Gray captains are also Startups. • Mini Camp is tie-dye! The mix of colors represent the many colors that they will be a part of during their future summers as ‘Ghany girls. The explosive pattern of tie-dye is symbolic of the burst of excitement that accompanies the abbreviated Alleghany experience enjoyed by each of these one-week, first-time campers during their Mini-Camp week. • Black is the color of the Four Year Figaro Flip Flops. 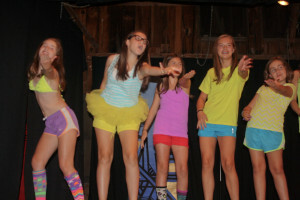 These girls have been at camp for four years or more. This secret society adds a bit of playful mystery to camp since no one but the previous 4-Years knows what goes on the night of 4-Year Initiation. • The Green Team is the maintenance staff at camp. These gentlemen wash the dishes, mow the lawn, take out the trash, row the boats and pole the barge across the river, and help with general maintenance and repairs around camp. • Alleghany’s version of Color War! 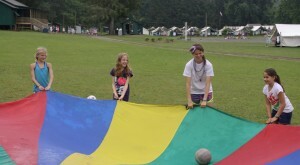 Each camper is assigned to the Blue Team or the Gray Team, of which she will remain a member for life. Family members are assigned to the same team. Blue/Gray competitions include Swim and Canoe Meets, Rifle, Archery and Tennis matches, as well as various activities throughout the term such as relay races, capture the flag, trivia games, and more. A heavy emphasis is placed on sportsmanship and friendly competition, abiding by camp’s dedication to the Honor Code. The Blue/Gray tradition was begun in 1922 and a banner hanging in our Play Hall recognizes the winner of each summer.